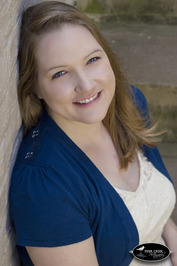 Hello readers for today's featured author, let me introduce Erin Butler. She's a very kind and awesome author. She writes NA and YA novels. I got a chance to ask her a few questions and below are her answers. Let's get to know more about Erin Butler! 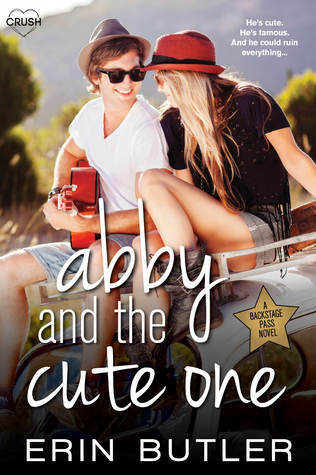 Congratulations to your new book Abby and the Cute One! Tell us something about your life as a writer. I try to write 2500 words every day. So, I'm either writing before work, anywhere from 7am-8am, or after work, from 6pm on. If I don't finish the 2500 words before work, I do it after I get out. Having a schedule has helped a lot! When did you start writing a book? I started writing ABBY AND THE CUTE ONE in August of 2014. Overall, it took me about three months to write it. What inspired you to write? I have always loved books and words and stories. When I was a teenager, I was a huge R.L. Stine fan. His Fear Street Series definitely inspired me to write my own stories. I used to have a notebook that I kept story ideas in and they were ALL paranormal-type stories. I was--and still am--a big fan of that genre. Are you contented with the genre you are currently working on? Why or why not? I tend to go back-and-forth between genres, which I think helps keep me happy. ABBY AND THE CUTE ONE is a YA Romance, but I've also written YA Paranormal, YA Magical Realism, and NA Romance. I'm a big believer in writing what you're in the mood for. Why would readers choose your book to read? I hope readers choose my books because they sound fun, and then once they've read it, because the story was great. Every single one of my books has been about something I'm passionate about and I hope that shows through in the story. For example, ABBY AND THE CUTE ONE is about a boy band. I LOVE BOY BANDS! I'm sure my enthusiasm showed through in this story. How do you handle negative reviews? The best advice I've ever received about this is to go to your favorite book on Amazon or Goodreads and read the 1-star reviews. It will totally blow your mind how some people thought so differently than you. Because of this, I try not to let negative reviews bother me too much. Just because what I did with the book didn't work for someone, doesn't mean it won't work for others. What do you consider first, plot or characters? It's always plot for me. I have the idea of where I want the story to go and then I round out my characters from there. What are you working on at the minute? Right now I'm writing another romance. It seems I can't get enough of those lately. Any writing tips to aspiring writers? Write often and write what you love. It's so simple, but it's so so true. Any message to your readers? I just want to say thank you to all of the Backstage Pass Series fans. This whole experience has been awesome and I can't thank each and every one of you enough! S2J Forever!! Erin Butler is lucky enough to have two jobs she truly loves. As a librarian, she gets to work with books all day long, and as an author, Erin uses her active imagination to write the kinds of books she loves to read. Young Adult and New Adult books are her favorites, but she especially fangirls over a sigh-worthy romance. She lives in Central New York with her very understanding husband, a stepson, and doggie BFF, Maxie. Preferring to spend her time indoors reading or writing, she'll only willingly go outside for chocolate and sunshine--in that order. Thank you for the comments and reading my blog! I highly appreciate it. Camelle has read 0 books toward her goal of 30 books. Share book reviews and ratings with Camelle, and even join a book club on Goodreads. Home of a Book Lover. Copyright 2019. Powered by Blogger.